Often, the best CVs are written to a set formula. While you want your CV to stand out, this should generally be because of your qualities as a candidate – not because of glaring omissions or a strange layout. Many recruiters will simply throw away CVs that do not tell them what they need to know quickly, and with the absolute minimum amount of effort. Unless you are making it clear to a prospective employer exactly what you have to offer from the outset, you are unlikely to secure an interview. Writing a CV in a way that will pique the interest of recruiters is a skill, but it often a guessing game. For this case study we spoke to a head of Human Resources at a London insurer to find out what they look for in a good CV. “I receive about two dozen CVs a week when we are not actively recruiting, and significantly more when we have positions advertised,” the recruiter told us. “I simply don’t have time to look at every one in detail unless I think it will be worthwhile. It is vital that your CV explains why you are qualified for the specific job for which you are applying – not just for jobs in general. Pick out previous roles that have provided you with experience for the position, and make sure that your personal statement relates directly to the new employer. Most recruiters state that a covering letter in the body of the email to which the CV is attached is sufficient. Generally speaking they should not form part of the CV document itself. 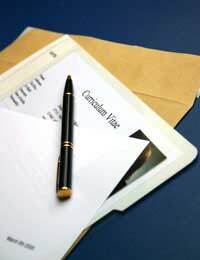 Attention to detail is vitally important in both your CV and covering letter. You must ensure, for example, that you correctly state the title of the position for which you are applying, and that you spell the recipient’s name correctly. Regardless of how good the rest of your application is, an overworked recruiter is likely to be immediately discouraged by sloppy mistakes. There are, of course, a vast number of perfectly valid reasons why you may not have been in work for an extended period – but unless these are explained they will appear suspicious. Make sure that you let the recruiter know what you were doing in the interim and, where possible, relate this back to the job by explaining how the experience equipped you for this role. Writing a CV can be a time-consuming task, but unless you are doing it in a way that immediately appeals to recruiters you are likely to be wasting your time. By providing prospective employers with the information they need in an easy-to-read format, you can help maximise your chances of securing an interview.